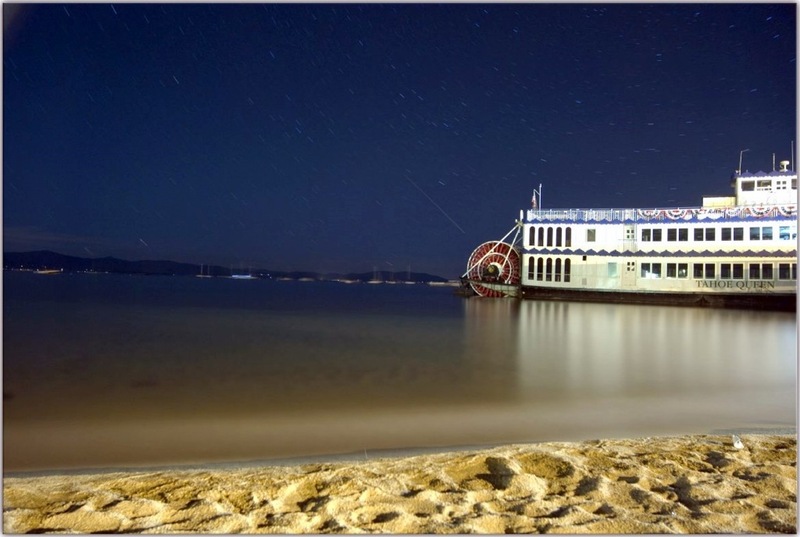 ARAMARK Lake Tahoe proudly combines beer, band, and boat on Big Blue with their monthly Pints and Paddles Specialty Cruise Series. 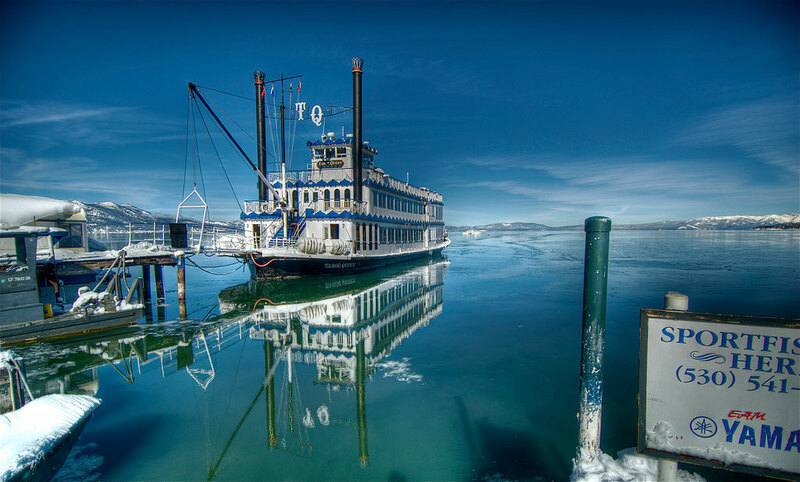 This Thursday, September 24th, all Pints and Paddles ticket-holders will board the Tahoe Queen for three hours of live music, compliments of local band Deep Fryed Mojo, and featured regional brewery, Napa Smith. Kick back with a Napa Smith Pale Ale or Amber Ale in hand, amuse your ears with the funky bluegrass beats of Deep Fryed Mojo, and settle your gaze on the pinks and purples of Lake Tahoe’s pristine sunset. To make reservations for this must-have experience, call 1-800-23-TAHOE (1-800-238-2463) or book online. Tickets are $40, with $5 dollars off to those carrying local I.D. or coupon from the Tahoe Daily Tribune. The ticket price includes a souvenir pint glass with the first beer on the house, as well as a Bavarian-themed food menu, comprised of bratwurst and large soft pretzels. There will be additional food on board available for purchase. Board the Tahoe Queen at Ski Run Marina, on the corner of Ski Run Blvd. and Highway 50, at 6:30 p.m. The Pints and Paddles cruise will depart at 7 p.m. sharp and return at 10 p.m. The Queen will carve its way through the crystal clear waters of Lake Tahoe towards Emerald Bay – all the while, Napa Smith will continue pouring and Deep Fryed Mojo, jamming. As the boat sneaks through Emerald Bay’s doorwary and circles around historic Fannette Island, past Scandinavian-influenced Vikingsholm mansion, the band will break, so guests can enjoy the scenery. Fortunately, for music, beer and boat enthusiasts, Pints and Paddles cruise runs each month. In the past, local bands, including Lavish Green, The Trey Stone Band, The Alternates, The Marones, and Truckee Tribe, have paired up with breweries, such as Sierra Nevada, Alaskan, Black Diamond, Widmer, Anderson Valley, and Gordon Beirsch. 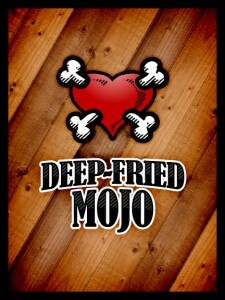 However, Deep Fryed Mojo holds the September spotlight. This five-piece band consists of longtime South Shore locals, who coincidentally came together at an open mic night, run by lead vocalist and guitarist, Doug Schwartz. 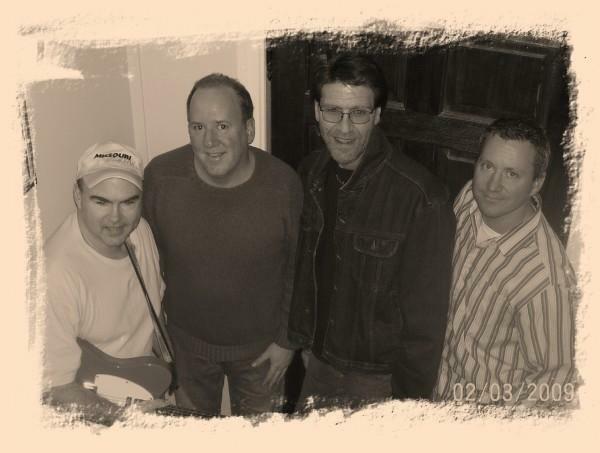 Two years later, this extremely versatile ensemble, comprised of front-man Doug Schwartz , Danny Barnes on drums, Mitch Brown on keyboards, Greg Tomb on bass, and Darren Senn on rhythm guitar, harmonica, and vocals, juggles a bottomless bag of tricks at their shows, from country and bluegrass, to rock and smooth funk. While Mojo has created a stack of originals, such as Schwartz’s funky invention, “Strange Thing”, they also have been known to pull out a repertoire of crowd-pleasing covers, like Rolling Stones’ “Miss You.” Hear a preview of Deep Fryed Mojo’s songs on their myspace webpage . Be sure to dust off your dancing shoes, for a night of eclectic music awaits! Napa Smith Brewery, hailing from the southern portion of world famous wine region, the Napa Valley, knows that it takes a lot of really great beer to make decent wine. Napa Smith’s Master Brewer, Don Barkley, set out to produce a type of beer that paired well with all food types, much like Napa’s winemakers hope for with their own wines. It seems a Pale Ale, Amber Ale and Wheat Beer coincided with Barkley’s vision. Napa Smith’s Pale Ale utilizes the finest European and American hops and a blend of two-row barley, granting a most fragrant aroma with hints of caramel. The Amber Ale employs seven malt varieties with three different selections of hops, achieving bolder, richer flavors, which start out sweet on the taste buds and finish dry. Hopefully, Napa Smith achieves their dream of being able to pair their Pale Ale and Amber Ale with any food, especially Pints and Paddles’ featured Bavarian fare.